Last night I attended the engagement celebration of Byter Gabrielle. One of the songs played by the DJ (or whatever young people refer to them as these days) was Michael Jackson’s Billie Jean. I asked my son and some others if they knew what the lyrics were or what they referred to but the answer was no to both. I said that I would post it in the next Bytes. It’s a catchy piece of music but there is a bit more to it . . .
She said "I am the one who will dance on the floor in the round"
And be careful of what you do ‘cause the lie becomes the truth"
Billie Jean is from the 1982 Michael Jackson album Thriller and was written and composed by him, as well as being co-produced with Quincy Jones. It was the second of seven US Top 10 hits from the album, The Girl is Mine being released before this. On the Thriller Special Edition CD, Quincy Jones says that he was told by Jackson that the song was about a girl who climbed Jackson’s fence and was found by him lounging beside his pool. She accused him of being the father of oe of her twins, an allegation that amused Jones. Jackson biographer J Randy Taraborelli has put forward a different scenario in his book The Magic and the Madness. According to him, Jackson was repeatedly sent letters from a mentally deranged fan who maintained that Jackson was the father of one of her twins. Jackson had never met the woman and ignored the letters but she persisted, telling him that she loved him and that they would be happy raising the child together that she did not know how he could ignore his own son. Jackson became disturbed by the letters and ended up with nightmares. The fan then sent a parcel with a letter, a photograph of the fan and a gun. The letter asked Jackson to kill himself on a certain day and that she would do the same after she had killed the baby. She also advised that if they could not be together in this life, they would be together in the next. It was subsequently learned that the fan had been sent to a psychiatric hospital. Jackson bizarrely framed the woman’s photograph and hung it above his dining table. In his autobiography Moonwalk Jackson said that Quincy Jones wanted to change the title to Not My Lover because he thought it would be confused with the tennis star Billie Jean King. Jackson refused. "A musician knows hit material. It has to feel right. Everything has to feel in place. It fulfils you and it makes you feel good. You know it when you hear it. That's how I felt about 'Billie Jean.' I knew it was going to be big while I was writing it. I was really absorbed in that song. One day during a break in a recording session I was riding down the Ventura Freeway with Nelson Hayes, who was working with me at the time. 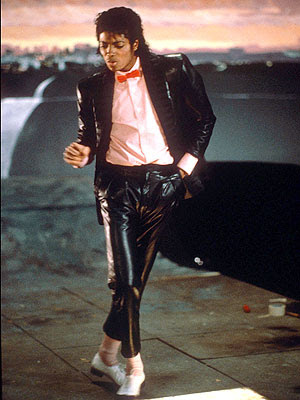 'Billie Jean' was going around in my head and that's all I was thinking about. We were getting off the freeway when a kid on a motorcycle pulls up to us and says, 'Your car's on fire.' Suddenly we noticed the smoke and pulled over and the whole bottom of the Rolls-Royce was on fire. That kid probably saved our lives. If the car had exploded, we could have been killed. But I was so absorbed by this tune floating in my head that I didn't even focus on the awful possibilities until later." Accompanying a single with a high production video, which in turn helped make Thriller the biggest selling album of all time. 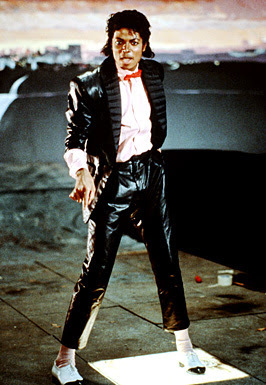 · The film clip for Billie Jean brought MTV, then relatively unknown, to mainstream attention. · It was also the first video by a black artist to be aired regularly by the channel. The execs for the channel had previously felt that black music wasn’t “rock” enough.